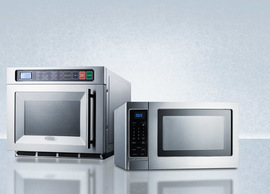 Since 1969, Felix Storch, Inc. (FSI) has been manufacturing and distributing specialty major appliances to the residential, professional, commercial, hospitality, and scientific markets. 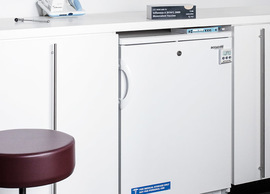 We serve medical and scientific customers through our Accucold® division and carry a wide line of warming cabinets under our PureTherm® brand. 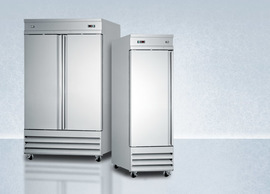 Through our Summit® division, we manufacture the industry’s largest collection of undercounter and ADA compliant refrigeration products, as well as a large selection of outdoor appliances, cooking appliances, and more. Our Summit Commercial® division focuses on the commercial foodservice market. We are ISO 9001:2015 certified for quality assurance, with an ISO/IEC 17025:2005 certified calibration laboratory. 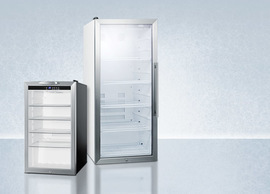 Felix Storch, Inc. (FSI) was founded in 1969 as a manufacturer and private label manufacturer and distributor of specialty major appliances, with products for the residential, commercial, medical, scientific, and hospitality markets. In 1969 FSI obtained a trademark on the SUMMIT® brand to use on its appliances, still widely used today on a large range of products. 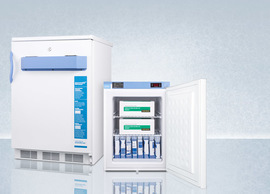 In 2005, FSI applied and was granted a trademark for the Accucold® brand for its growing line of medical, pharmacy, laboratory, and scientific products. 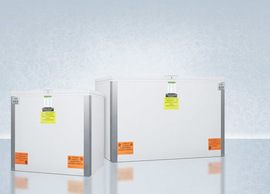 In 2013 FSI applied and obtained a trademark on the PureTherm® brand, for medical and scientific products that heat contents to precise temperatures, such as blanket warmers. In 2015, FSI, achieved ISO 9001:2008 and recently upgraded its certification to 9001:2015. 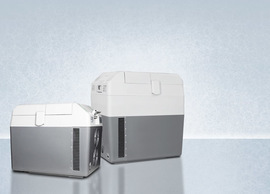 Later that year, to support our growing product line in data logging and temperature monitoring and reporting we opened our temperature calibration laboratory, and achieved ISO/IEC 17025:2005 certification. Despite its growth, FSI has always been, and today, remains a private, family-owned business. FSI began our distribution in Long Island City, New York. In 1983, needing additional room for expansion, we moved our headquarters and operations to the Bronx. In 1998 we purchased our current HQ building in the Bronx, where our manufacturing, operations, back office, and distribution are all located. Since 2012, this facility has used environmentally-friendly solar generated power via one of the largest solar panel rooftop installation systems in New York City. To accommodate our continued growth, in the 2008-2009 period, we added a modern warehouse facility in Edison, New Jersey, and purchased a building in Wallingford, Connecticut, housing our fabrication facility, bringing our total property for product development, manufacturing, and warehousing to nearly 300,000 square feet. FSI is organized to fully control its operations, and outsources as little as possible. Our customer service, parts, and repair call centers operate from our own buildings with our own staff. We operate our own fleet of trucks in the Northeastern U.S., and ship daily to all locations in the U.S. through our in-house logistics department. We strive to expedite the order and delivery process, offering next day shipping on all in-stock products. Virtually all merchandise and all custom manufacturing is also done in our facilities. Our flexible manufacturing allows us to customize your order in days, not the weeks or months our competitors offer. 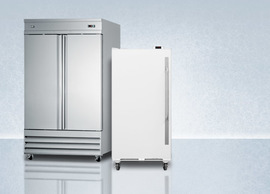 Having over 50,000 appliances in stock every day and our policy of next day shipping of stock orders means your appliance arrives when you need it. We stock a huge selection of appliances in hard-to-find footprints, including undercounter models in 15”, 18”, 20”, 24”, and 30” widths, as well as the industry’s largest collection of 32” high ADA compliant undercounter products. 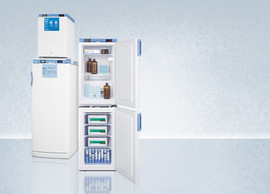 Our Accucold® medical refrigeration line includes selections for general purpose use, products with defined temperature ranges, and highly stabilized vaccine refrigeration. 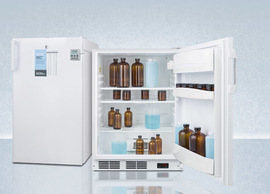 We can also help your facility with pharmaceutical refrigeration and dozens of products that meet NSF standards. We are happy to customize most products to achieve specific temperatures or add NIST certified temperature monitoring enhancements such as temperature logging or alarms. 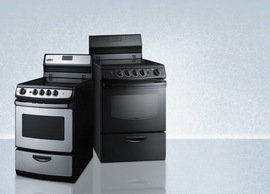 And we have an expert sales staff just a phone call away to help you specify or select the perfect appliance. 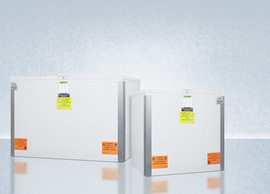 Felix Storch, Inc., offers private label OEM opportunities for our resellers, with the ability to customize our extensive product line to the individual specifications of different customer bases. We conduct all customization in our Bronx manufacturing facility and strive to maintain fast turnaround and delivery. At FSI, our focus is designing innovative products to meet the unique requirements of the markets we serve. In 2016 FSI applied for a patent on new technology that can dramatically improve temperature stability in medical and vaccine refrigerators. That patent is now pending. 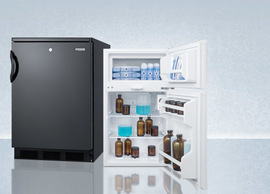 Our newest product line, PureTherm®, includes warming cabinets for hospital use, and has unique 2 door cooling / warming cabinets – where the waste heat from the refrigerator or freezer section provides the warming for the blanket warmer chamber. Our new data logger (DL2) is NIST certified and records temperature to a removable USB drive. It can be professionally mounted to most units in one business day. 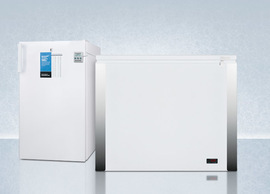 We have dozens of Accucold® models that are ENERGY STAR® listed, and save energy over competing models with no sacrifice in performance. 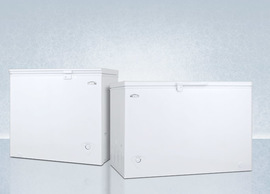 Nothing goes into a Summit®, Accucold®, or PureTherm® box before we’ve thought outside it. 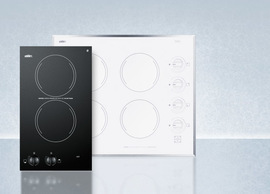 We are constantly bringing new innovation to specialty appliances. 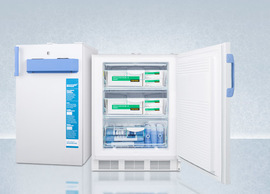 In our Accucold® line, we offer new vaccine storage refrigeration specially designed to meet CDC guidelines that utilizes our own patent pending temperature stabilization system. 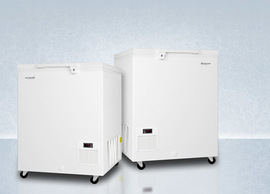 Accucold® also has dozens of models that meet NSF standards for foodservice applications, because many local codes require it. 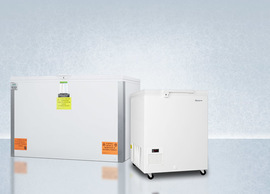 We offer our customers a huge array of products from the Summit®, Accucold® or PureTherm® lines. 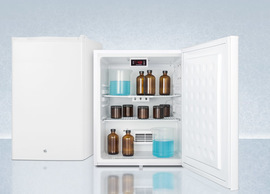 Accucold® and PureTherm® products cover the medical, pharmacy, laboratory, and scientific markets and those products are featured on this website. 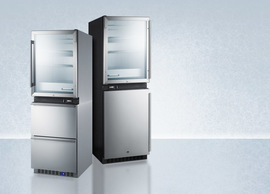 Summit and Summit Commercial feature products for residential and foodservice applications, and are featured on FSI’s sister website, www.summitappliance.com. 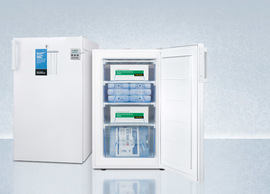 In addition, FSI is the exclusive importer of ELCOLD low temperature freezers and ASKO institutional heavy duty laundry, used primarily by medical facilities. Many customers benefit by our ability to add features or custom finishes to most of our appliances to provide the exact product you need. Can’t find what you need? 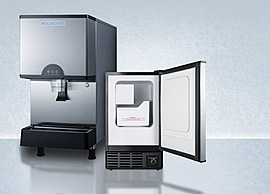 Virtually all appliances can be customized to meet a variety of requirements for facility use. 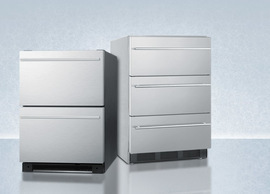 Browse our product options or call our sales team to build the right unit for your needs. FSI takes pride in its homegrown workforce and strives to keep much of its production and its value-added manufacturing in-house and in the USA. In 2007, FSI matched a $248,000 grant from the NYC Department of Small Business with $300,000 of its own investment to provide specialized training to its employees. Seventy-five members of the FSI team completed a year-long course in subjects such as quality control, customer service, packaging, lean manufacturing, assembly, safety, and warehousing. In light of its success for both FSI and New York, the program was renewed in 2009, with an expanded curriculum that added instruction in ESL and mathematics. We are recognized as a Made In NYC company, as we fully manufacture several of our product lines (including electric cooktops and blanket warmers) in our Bronx facilities. In 2014, we were recognized as one of NYC’s leading employers in proactively hiring veterans. At Felix Storch Inc., we value our relationship with our customers. From our expert sales team answering your calls to our dedicated service department solving your problems, we work hard to ensure that our employees are doing their best to meet your needs. Over the years, our staff has participated in multiple training programs provided by the NYC Department of Small Business to improve both their individual skills and our overall abilities as a leading manufacturer of specialty appliances. We serve our markets through a variety of distributors and wholesalers, a large network of independent retailers and other resellers, and a selected group of online retailers. We also offer private labeling opportunities for other manufacturers and retailers. 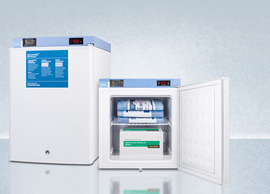 If you are interested in learning more about our products, we encourage you to explore this website for the full Accucold®, PureTherm®, and Summit® experience. You can reach us by email at accucoldinfo@summitappliance.com or speak with our sales representatives at 1-800-932-4267, or 718-893-3900. 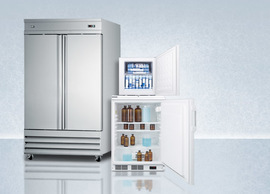 We carry an extensive selection of refrigeration products aimed at the pharmaceutical, laboratory, medical, and scientific industries. 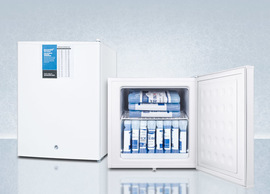 This includes everything from a basic locking compact refrigerator to a laboratory chest freezer designed to store sensitive frozen materials at temperatures as low as -45ºC. 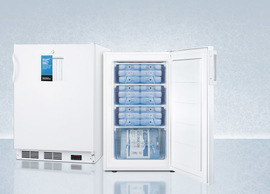 Through our Accucold® division, we offer a diverse line of vaccine refrigeration fully featured for temperature stability. 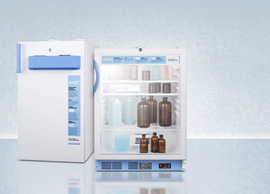 Additional products include institutional laundry, portable pharmacy refrigerators, warming cabinets through our PureTherm® division, and much more. 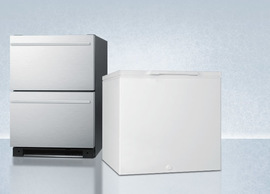 For nearly 50 years, Summit® has been the industry’s answer to small kitchen spaces. 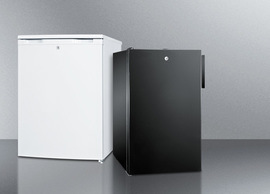 Our frost-free refrigeration collection is specially designed for apartment and small homes, with a variety of slim and counter deep footprints not found in big box stores. Additionally, we carry ranges starting at just 20” wide, as well as a wide selection of cooktops, wine cellars, range hoods, beer dispensers, outdoor appliances, washers and dryers, and the largest selection of built-in undercounter refrigeration in the industry. 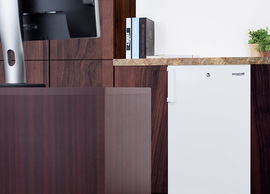 We also offer a wide selection of appliances for ADA compliant applications, as well as assisted living facilities and the hospitality industry. 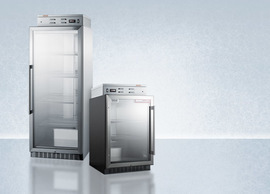 From fully assembled dipping cabinets to compact impulse freezers, our commercial branch specializes in products designed and approved for use in foodservice establishments. 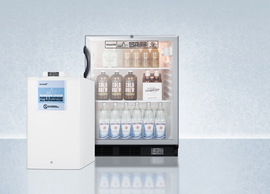 This includes one of the industry’s largest collections of beverage merchandisers in a range of slim-fitting footprints, as well as storage freezers, built-in icemakers, beer dispensers, wine cellars, microwaves, and back bar storage equipment. 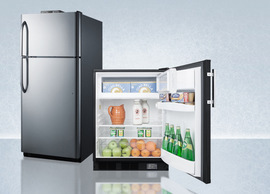 We carry a wide line of commercially listed reach-in refrigerators, built-in undercounter/ADA compliant refrigerators, and compact refrigerators for a variety of applications where approval to NSF standards may be required.